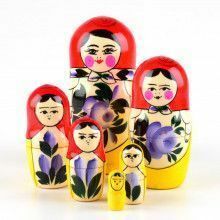 This wonderful wooden doll was made in traditional style. 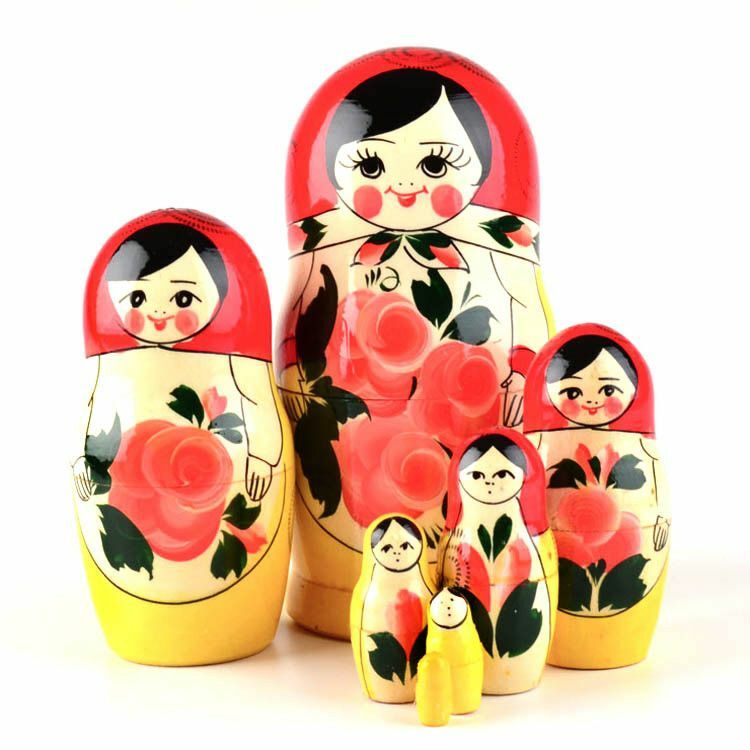 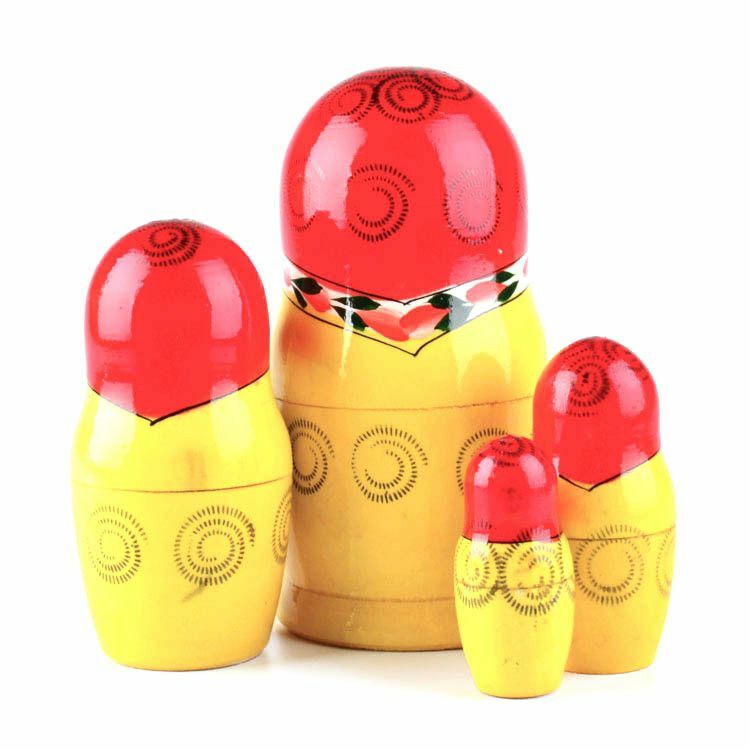 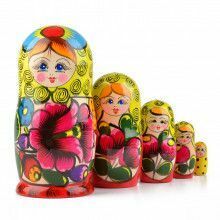 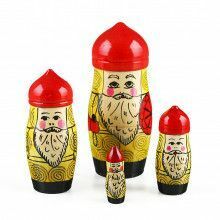 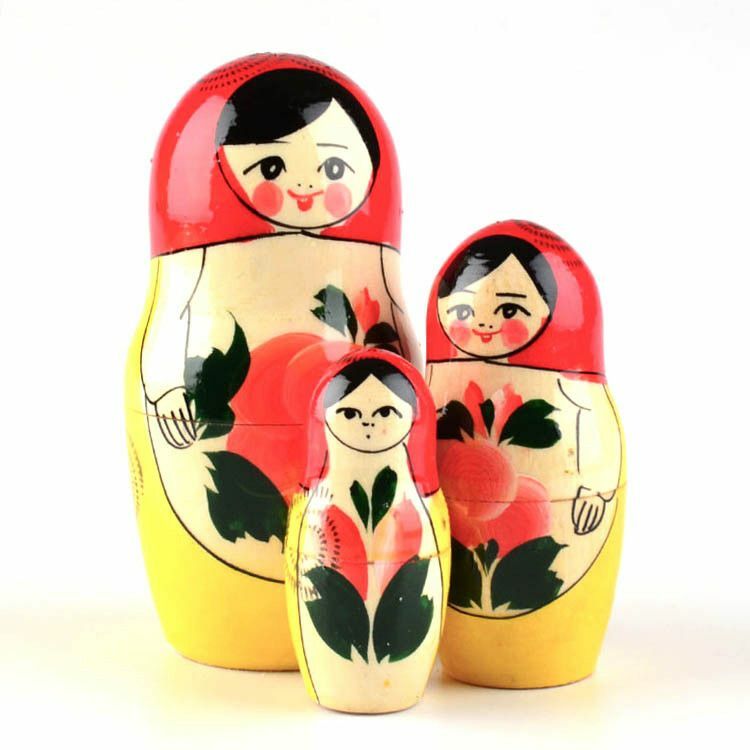 Bright red and yellow, accented with pretty pink flowers, makes this matryoshka simply stunning! 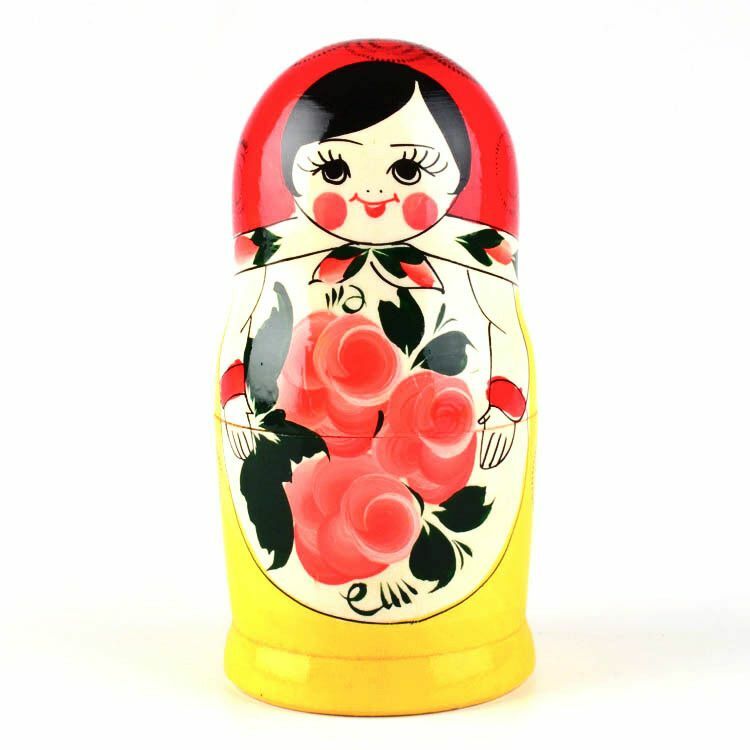 She stands about 7" tall and has a total of 7 dolls. 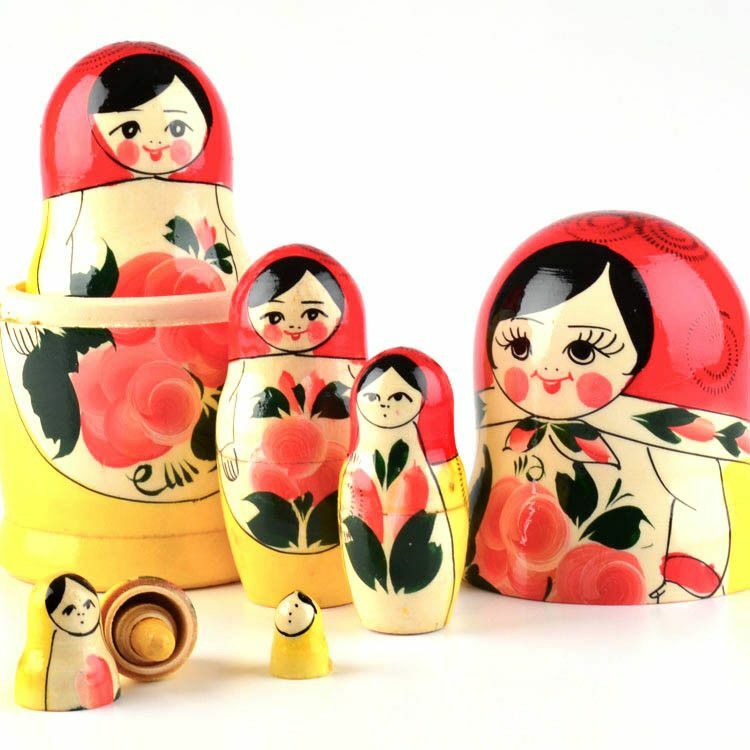 The smallest doll is about 3/4" tall. 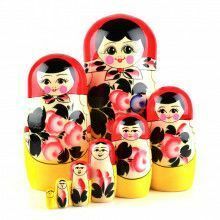 Gloss finished and imported from Russia.